Abstract: Poem. "I like to think, (it has to be! 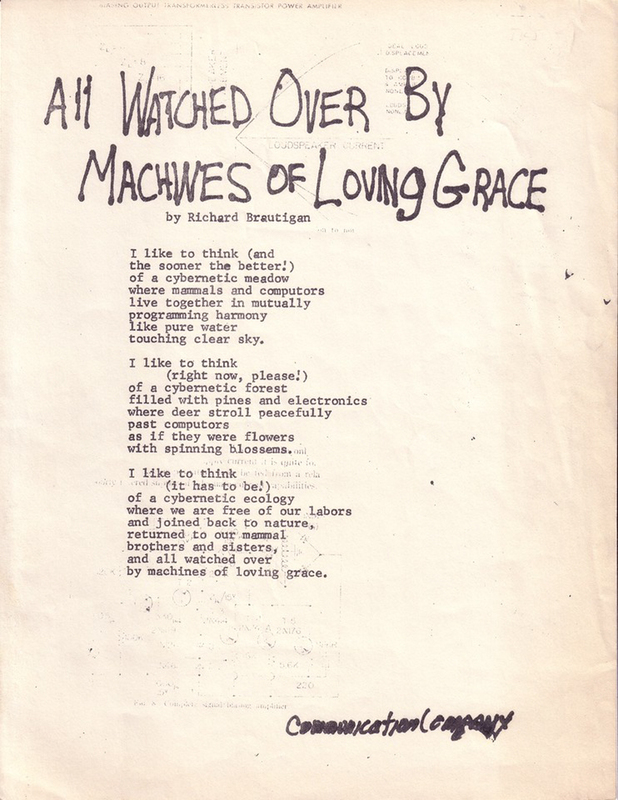 ), of a cybernetic ecology, where we are free of our labors, and joined back to nature, returned to our mammal, brothers and sisters, and all watched over, by machines of loving grace." 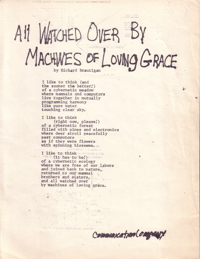 Notes: Title and imprint are handlettered, all else typewritten. Paper used for printout shows faintly: "LOUDSPEAKER CURRENT" and other faint electronic schematics.